Fulfill your fantasy wedding on an intimate garden island infused with traditional Maldivian charm. Exchange your vows in any number of exquisite locations against a backdrop of shimmering blue. A wedding in the Maldives between two foreign nationals is not legally binding. Even though the day is very much real, complete with a ceremony and the perfect beach wedding dress, it will not be recognized as legal when you get home. Most people who get married in the Maldives have a legal wedding at home, and the beautiful ceremony in the Maldives. This is the only way to have a Maldives wedding, but it doesn’t make it any less fantastic. There is a big wedding industry in the Maldives islands for foreigners that want to have a wedding on a magnificent beach on a tropical island. In fact, many resorts offer wedding packages, most of which combine both the wedding and the honeymoon. Exchanging vows, rings, and loving glances will all happen at a Maldives wedding, but there are also other things to consider when thinking about your wedding ceremony. Like whether or not you want to add any Maldivian culture into it. In the Maldives, a traditional wedding ceremony includes a Bodu Beru (drums) procession. This is a procession of around 20 drummers that play Bodu Beru dressed in traditional clothing, leading the happy couple down the aisle and to their wedding ceremony. It is topped off by having a local gazi(judge) preside over the ceremony, all of which is done in the local Divehi dialect. 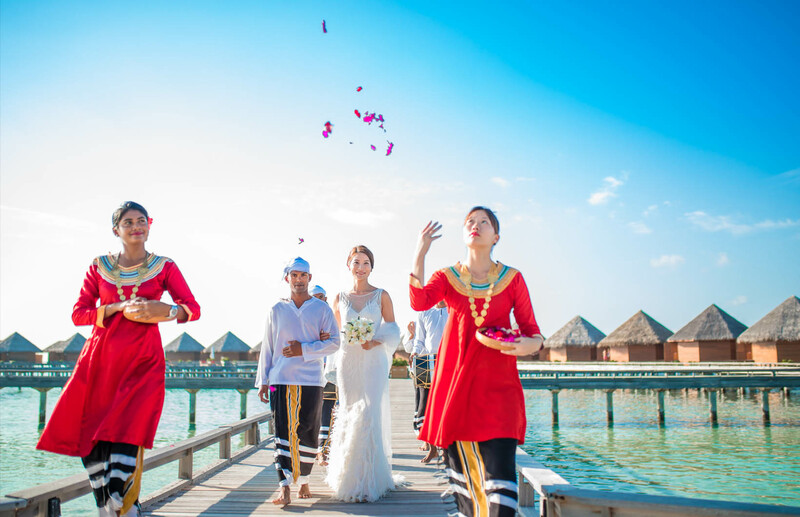 Some couples that go the traditional route also choose to wear traditional Maldivian clothing. Couples can also, of course, have a western wedding and skip all of the Maldives cultural aspects. Still, many Maldives resorts that offer wedding packages due include the bodu beru drummers, as it is a great way to remind both the couple and their wedding guests that it is, after all, a destination wedding. The beach is the most popular place for a wedding in the Maldives, and why wouldn’t it be. The Maldives is home to some of the best beaches in the world, making it a dream spot for a destination wedding. Especially considering its exceptional backdrop of glistening waters and swaying palm trees. Most beach weddings will not only have the ceremony on the beach, but also the reception, complete with flowers, music, and excellent food. It is also possible to have a Maldives wedding in a location other than on the beach. You can have it on a traditional dhoni or luxurious yacht in the sea, on an isolated sandbar far from everything else in the world, on a rooftop terrace at sunset, or at the edge of a pool. There are many resorts in the Maldives that offer wedding packages, but these are my best in the bunch. A Four Seasons on-site expert will work with you or your wedding consultant to reserve your dates, plan the schedule of events and coordinate all food and beverage details, as well as assist with other aspects of your wedding experience at the Resort. Exchange vows on a pristine beach, in the garden, or at the edge of the pool at the spectacular Four Seasons Maldives Resort at Kuda Huraa. Everything down to the finest detail will be taken care of by your very own personal wedding planner, from the invitations to a relaxing massage before the big day. Wedding packages at this luxurious resort include the ceremony, the bouquet and boutonniere, bridal hair and make-up, the photographer, the wedding cake, and the celebration. They even throw in a romantic 3-course meal, a floral bath, breakfast in bed, and a 30-minute private yoga session. Plus, you get to create the perfect menu for you and your guests. But it doesn’t stop there. The bliss will continue on into the honeymoon, with the resort offering tailored packages to suit each and every couple’s needs. This could mean that you are celebrating your honeymoon together with guests that came to share this special day with you, or all on your own. The accommodations at this 5-star Maldives resort will let you have peace and quiet alone in an exceptional Sunrise Villa with Pool, where you will wake up each morning with the ocean breeze in your face while enjoying a coffee right over the lagoon. Or you can stay in one of their two- or three-bedroom suites and enjoy your honeymoon with your closest friends or family members. Click here to make a booking. Have a memorable wedding in a once-in-a-lifetime location in one of the Shangri-La’s Villingili Resort and Spa’s ocean-facing wedding pavilions. Make it even more memorable by having an Arabic, Indian, Japanese, or Chinese themed wedding, or exchange vows on the resort’s luxury yacht. No matter what location you choose, a Maldives wedding at this grand resort will be exceptional. It can be a traditional western wedding or a Maldivian wedding; the resort’s wedding planner will organize the wedding of your dreams.  Wedding packages include the venue, the decorations, music, photography, the bouquet, the cake, and the ceremony. They also add in a few extras to make it that much more special, like a 90-minute spa treatment, in-villa breakfast the morning after, bed decorations, and coral planting. Ever dreamed of getting married under the water? Well at the Conrad Maldives Rangali Island that is possible at their renowned Ithaa Undersea Restaurant. If you would prefer a barefoot wedding they can also arrange a Maldives wedding right on the beach. Wedding packages start with a spa treatment for the bride and groom to calm pre-wedding jitters, followed by a ceremony at the location of your choice. A three-tier cake, sparkling wine, photography, and all decorations are included, as is the ceremony itself. After the wedding, the Conrad Maldives Rangali Island will be sure to make your wedding memories last forever with its in-villa features. There are 10 different wining and dining facilities at this top luxury Maldives resort, including a cheese bar, a wine cellar, a Japanese restaurant, and an award-winning open-air over-water restaurant. Then there is, of course, the amazing Ithaa Undersea Restaurant. Accommodations at this magnificent resort are all sitting right over the water, and boast a private deck and pool, with steps leading down into the crystal clear blue lagoon. You can even go all out and book yourselves into a villa with a spa treatment room and small gym. Click here to see more photos or make a booking at Conrad Maldives Rangali Island. LUX* Resorts & Hotels offers a very special tropical island wedding experience. Rather than hosting multiple weddings in one day, we have a policy of only one such occasion per resort each day. Our LUX* wedding experts will invite you to choose from a variety of spectacular sun, sea and sand settings, taking special advantage of some of the quieter spots to stage a truly intimate and personal ceremony. The making of the vows is always magical and memorable, not least because of our experts’ skill in using a variety of local wares and artefacts to add special, local touches – vintage sailing boats aged by sun and surf perhaps, or brightly-coloured sarongs hung between palm trees like an Indian Ocean equivalent of bunting. Tucked away on the secluded North Island alongside the turquoise lagoon, our peaceful beach is the perfect spot for a nature-inspired wedding. With your toes in the sand and your fingers entwined, step before your partner and take your vows under the glow of the Maldivian sun. Feel the ocean breeze in your hair, the warmth of the sun on your skin and the love of your family and friends in your heart.A lagoon of crystal clear waters fringed by pristine beaches and islands blanketed in lush tropical greenery, there’s nowhere quite as exquisite to say ‘I do’. With your most treasured family and friends sat expectantly on your own private jetty, stand before them suspended above the lagoon and unite in your own private paradise. From a wedding at our beautiful lagoon champa (wedding pavilion), to having champagne at sunset on a traditional dhoni curise or a star-lit private dinner on One Palm Island, we invite you to a timeless haven for a celebration of a lifetime.Gili Lankanfushi, the ultimate island destination at which to pledge or renew your vows.Seclusion, exceptionality, and barefoot luxury blend with exquisite natural settings to ensure a wonderful day that is unforgettable for you and the love of your life.From our unique wedding chapel standing amid cerulean waters, to our magnificent Private Reserve, an array of options from which to celebrate your most special day is available – all you need to do is choose.